The Merlin (Falco columbarius) is a small species of falcon from the Northern Hemisphere. A bird of prey once known colloquially as a pigeon hawk in North America. The Merlin is 24–33 cm (9.4–13 in) long with a 50–67 cm (20–26 in) wingspan. Compared to other small falcons, it is more robust and heavily built. Males average at about 165 g (5.8 oz) and females are typically about 230 g (8.1 oz). Dimorphism is common among raptors; it allows males and females to hunt different prey animals and decreases the territory size needed to feed a mated pair. The male Merlin has a blue-grey back, ranging from almost black to silver-grey in different subspecies. 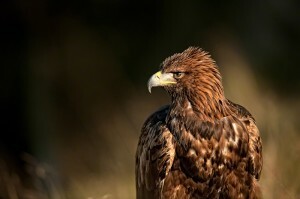 Its underparts are buff- to orange-tinted and more or less heavily streaked with black to reddish brown. The female and immature are brownish-grey to dark brown above, and whitish buff spotted with brown below. 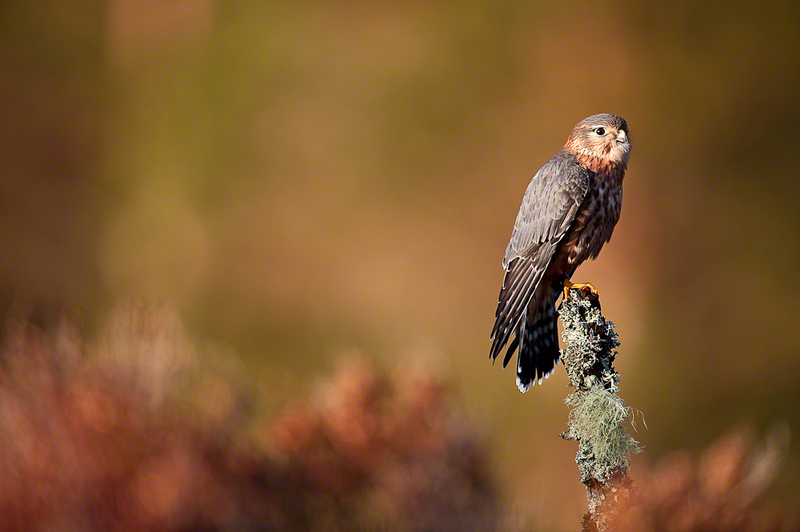 This fine Peregrine falcon was photographed at Aviemore at the beginning of 2011. Falco peregrinus, sometimes also called the Duck hawk, is renowned for its speed and can reach 325 km/h (200 mph). Peregrines can be found nearly everywhere on Earth, except extreme polar regions, very high mountains, and most tropical rainforests. Its diet consists almost exclusively of medium-sized birds, the Peregrine will occasionally hunt small mammals, small reptiles, or even insects. Reaching sexual maturity at one year, it mates for life and nests in a scrape, normally on cliff edges or, in recent times, on tall human-made structures. 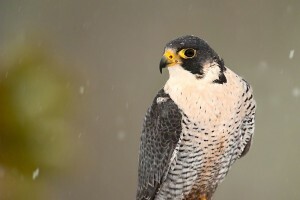 The Peregrine Falcon became an endangered species in many areas because of pesticides, especially DDT. Since the ban on DDT from the early 1970s, populations have recovered, supported by large-scale protection of nesting places and releases to the wild. 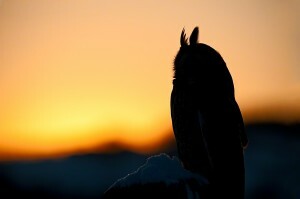 Back in January 2010 I was out on an organized trip to get images of birds of prey in the winter landscape. We had a lovely clear day and plenty of snow for our trouble although I ended up going on my own as my colleague had dropped out at the last minute for fear of injury interfering with a forthcoming holiday to Australia. The Long-eared Owl (Asio otus) is a species of owl which breeds in Europe, Asia, and North America. This species is a part of the larger grouping of owls known as typical owls, family Strigidae, which contains most species of owl. The other grouping of owls are the barn owls, family Tytonidae. This nocturnal species is perhaps most easily seen perched in a tree in its daytime roost, sometimes in small groups during the winter months. There had been no mist pre-dawn at Bradgate park for several weeks so I was lucky to bag this shot during the October rut. During our visit we had several days of glorious sunshine and plenty of opportunities to view the deer in moments of intimacy and aggression. 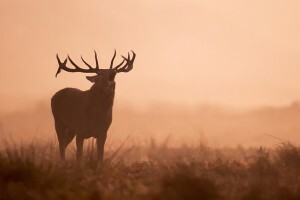 On one of the early morning forays into Bradgate park last October (2011) we were waiting for a lone, and inconsiderate, photographer to move out of the way so that the deer could move into the beautiful early morning light and mist. Eventually he did come and join us but in the meantime I was able to get this spectacular silhouette of this grand old tree. My wife’s first reaction was, you’ve ‘photoshopped’ that in!! Not so, it was the real thing. This October (2011), Loughborough proved an excellent location to meet with like-minded photographers to document the rut at Bradgate Park and to shoot some birds of prey nearby. We stayed at the Horseshoe Cottage farm, an excellent warm and homely experience, in a recently restored 200 year old stone farmhouse and barns in Leicestershire’s beautiful Carnwood Forest. 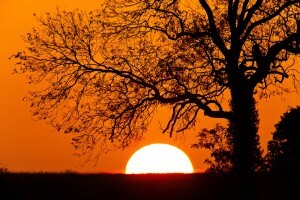 We arose at 5.50am to catch the sunrise and worked through the day, breaking only for food, to catch the sunset. The deer were in fabulous form and we caught a number of stags rutting nearby.